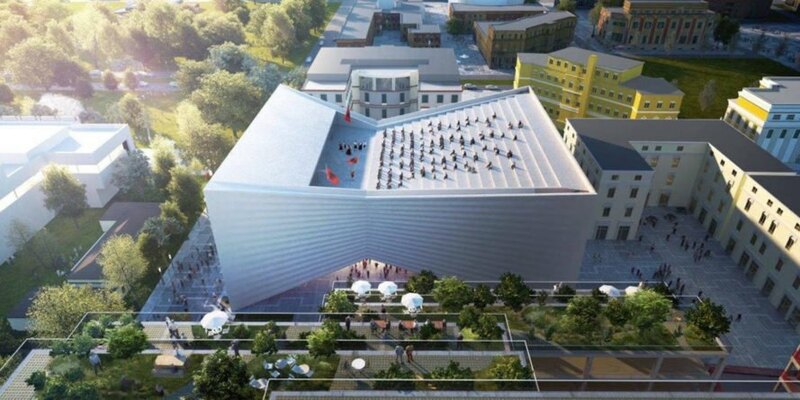 Albania’s capital of Tirana is undergoing exciting changes — and it will soon see the construction of a new National Theater of Albania designed by Bjarke Ingels Group. The proposed bow tie-shaped theater is an extension of the government’s ongoing efforts to turn the city into a greener, more pedestrian-friendly place to live, work, and travel. 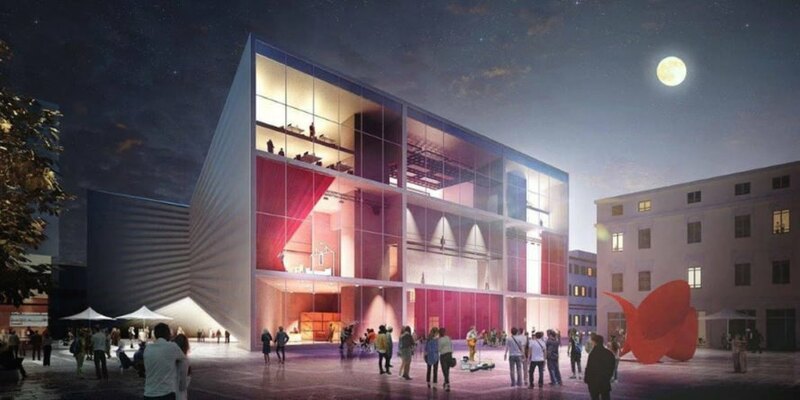 Designed to replace the existing theater, the 9,300-square-meter contemporary complex will be located in downtown Tirana and will host local and touring theater companies within a 3-in-1 cultural venue. Located on Tirana’s cultural axis in a mostly pedestrian area, the new National Theater of Albania is envisioned by Mayor of Tirana Erion Veliaj as the “crown-jewel” in the capital’s urban revitalization plans that include the addition of 2 million trees, increased pedestrian-friendly areas, and more playgrounds. “The “bow tie” will tie together artists, dreamers, talents and the aspirations of a city going on fifth gear yearning for constant change and place-making,” said the Mayor. The theater’s bow tie shape is informed by the program organization, which sandwiches the main auditorium in the middle between the south-facing front-of-house activities, like the foyer and restaurant, and the back-of-house activities in the north. By compressing and lifting the building’s middle, the architects create opportunities for passersby to enjoy glimpses of the theater at all hours. In addition to an upgraded theater space, the new cultural center will include three new indoor performance spaces, a rooftop theater with amphitheater-style seating, and a covered public space in the building arch. 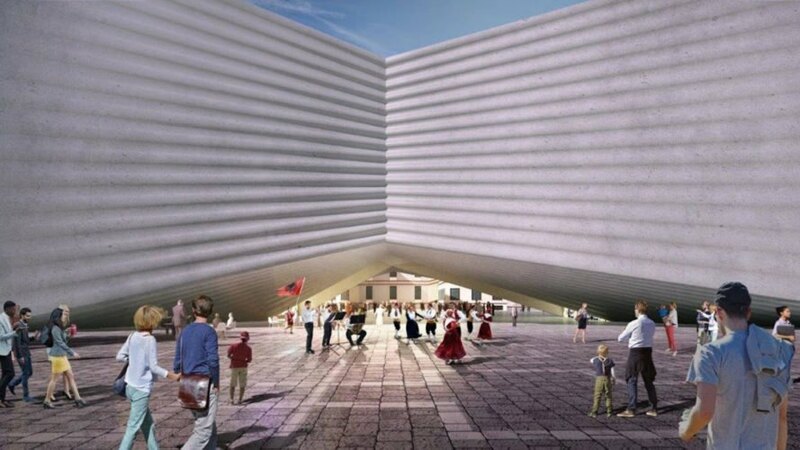 Albania’s capital of Tirana is undergoing exciting changes—including a new National Theater of Albania designed by Bjarke Ingels Group. The proposed bow tie-shaped theater is an extension of the government’s ongoing efforts for turning the city into a greener, more pedestrian-friendly place to live, work, and travel. 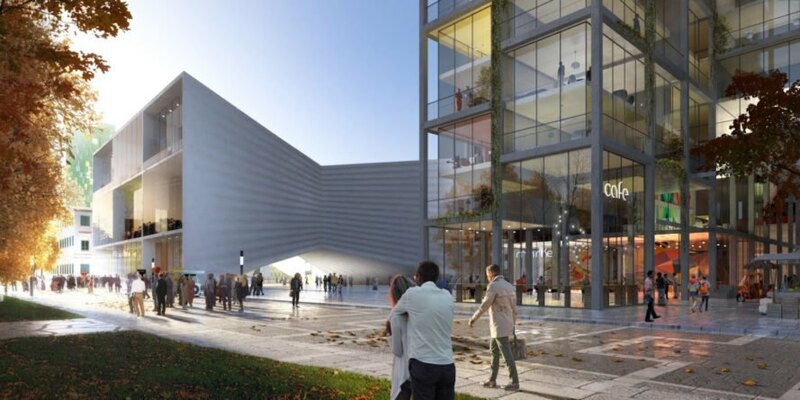 Designed to replace the existing theater, the 9,300-square-meter contemporary complex will be located in downtown Tirana and host local and touring theater companies within a 3-in-1 cultural venue. 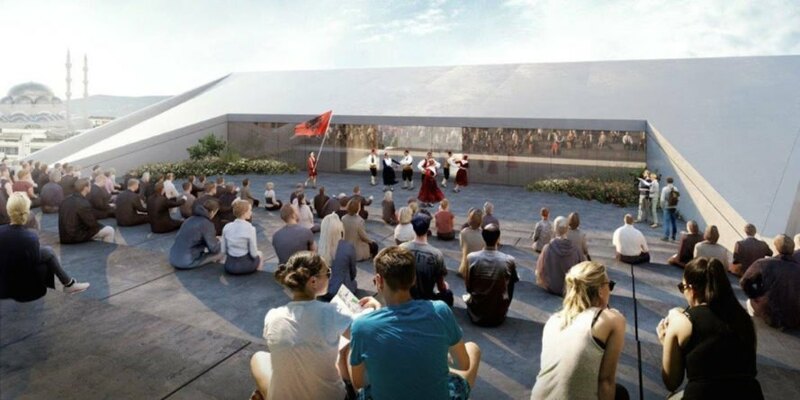 Located on Tirana’s cultural axis in a mostly pedestrian area, the new National Theater of Albania is envisioned by Mayor of Tirana Erion Veliaj as the “crown-jewel” in the capital’s urban revitalization plans that include the addition of 2 million trees, increased pedestrian-friendly areas, and more playgrounds. “The “bow tie” will tie together artists, dreamers, talents and the aspirations of a city going on fifth gear yearning for constant change and place-making,” said the Mayor. The theater’s bow tie shape is informed by the program organization, which sandwiches the main auditorium in the middle between the south-facing front-of-house activities, like the foyer and restaurant, and the back-of-house activities in the north. By compressing and lifting the building’s middle, the architects create opportunities for passersby to enjoy glimpses of the theater at all hours. 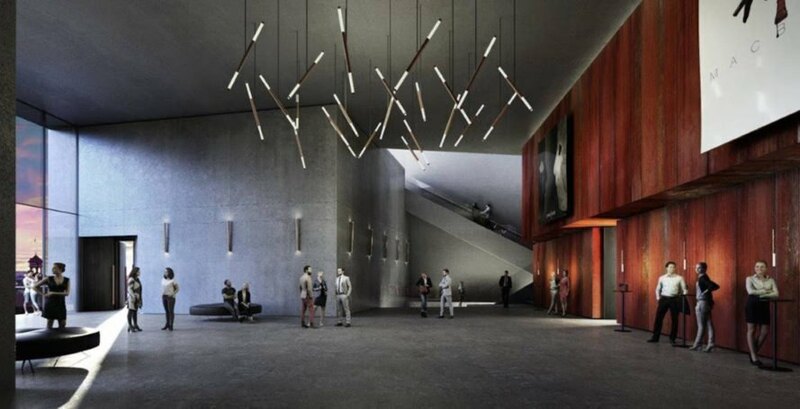 In addition to an upgraded theater space, the new cultural center will include three new indoor performance spaces, a rooftop theater with amphitheater-style seating, and a covered public space in the building arch.